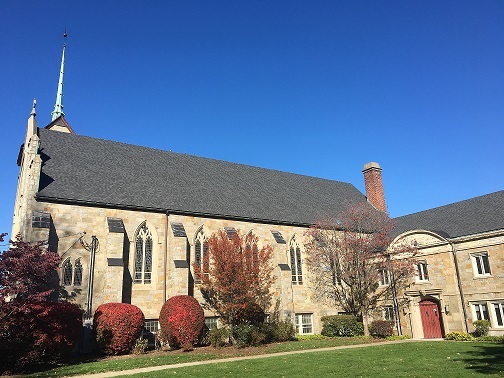 Parkway United Methodist Church began in the parlor of George Black of Mattapan in 1844 when he invited his neighbors and friends to gather and sing hymns. There were no churches in Mattapan at the time. In fact, Mattapan was the grazing area for Dorchester cattle! These neighbors formed a nondenominational society which maintained religious services with pastors from Hyde Park, Milton and Dorchester invited to preach. In 1872 the enterprise was turned over to the Boston City Missionary Society of the Methodist Church. In 1881, an Episcopalian church building on Babson Street was rededicated as the Mattapan Methodist Episcopal Church where the congregation worshipped until 1924 when they voted to move to Milton and purchased land for a Church and Community House. In 1926 the Community House was erected and in 1929 the first unit of the Church was completed. In 1940 the present beautiful sanctuary was completed and consecrated by the resident Bishop of the Boston Area, G Bromley Oxnam, D.D., LL.D.